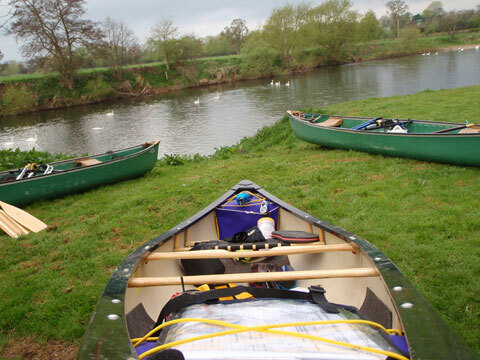 Open canoes, also known as open boats, are a great way to explore the UK’s waterways. Open canoes are generally paddled by one or two people, although you can comfortably fit a small family in most open boats. Open canoes are propelled using a single ended paddle and are suitable for flat water touring as well as moderate white water. Experienced canoeists can also take open canoes down white water rapids. Many London clubs will have open canoes available to their members. Open canoes can also be hired on the river Thames and the river Lee. In the west of London, canoe hire is available from Canoe and Kayak the Thames and Thames Canoes Hire. To the north of London, Lee Valley Canoe Cycle is based in Broxbourne and also provides kayaks for hire, as well as providing guided canoe trips on the River Lee. The canals and rivers around London are perfect for open boating. An excellent resource is the book Pub Paddles, The best short canoe trips in the south of England, which describes 27 trips around London and includes maps, pages of details and information about local canoe hire shops.